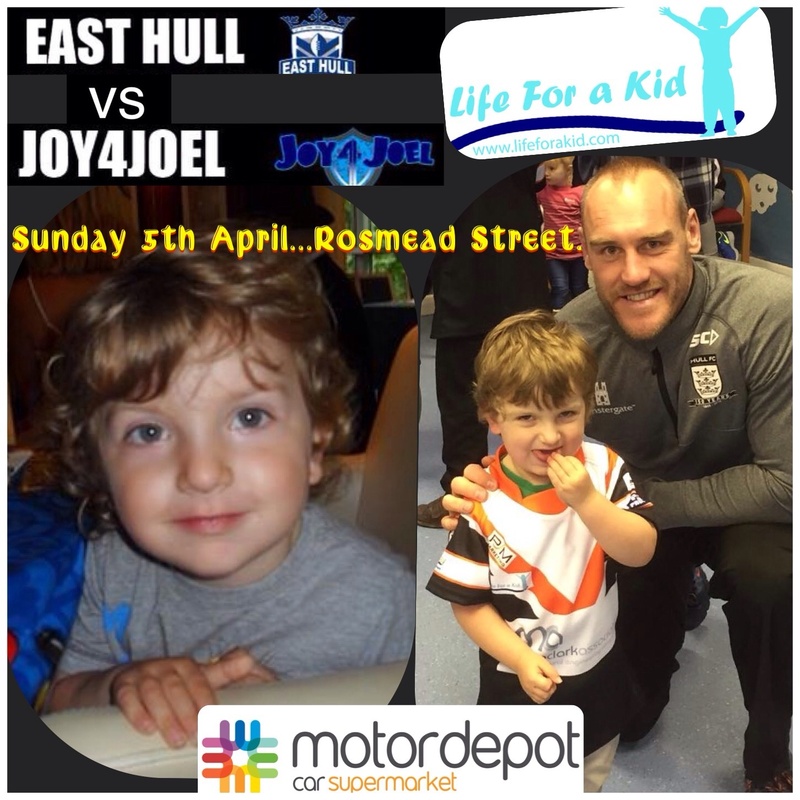 Preparations are now really stepping regards the 'Joy For Joel' charity rugby league match which Motordepot is proud to sponsor on behalf of Hull-based charity Life For A Kid. The 'Joy For Joel' fund was set up in aid of Hull toddler, Joel Wilkinson, who has been tragically diagnosed with Duchenne muscular dystrophy - a life-shortening, muscle-wasting disease. As it so often does in these cases, Hull's big-hearted rugby league community is rallying to the cause and Motordepot's Ashley Moon was delighted to attend a recent photo-shoot to promote the upcoming Motordepot Trophy game which will be contested between an East Hull select outfit and an invitational 'Joy For Joel Jaguars' line-up at the Rosmead Sports Centre on Sunday, April 5th, with a 12 noon kick-off. Ashley was joined at the photo-shoot by tireless Life For A Kid campaigner Darren Fitzgerald and three of the 'headline acts', current Hull FC coach Lee Radford and former Hull KR players and Papua New Guinea internationals Stanley Gene and John Okul. Already, news that John and Stanley - two legends back home in their native country - are set to appear on the same field together for the first time in 17 years has made big news in Papua New Guinea, with one of the country's national newspaper featuring pictures of the photo-shoot! In addition to sponsoring the game itself, Motordepot has taken on the player sponsorship of John Okul who is gallantly putting his "busted" body on the line for the first time in seven years. Simply text LFK John Okul to 70300. Lets help Joel's family get the home adaptations they need to help Joel live as mobile and independently for as long as possible.